Canada’s most deliciously decadent, and celebrated sandwich came back. 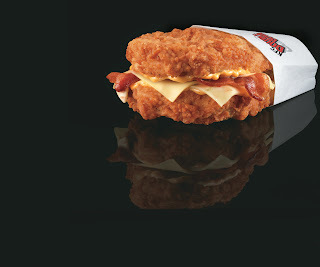 After much anticipation, Double Down began appearing at KFC restaurants across Canada, starting on June 1st. When it launched in Canada for a limited time last fall, Canadians embraced the bunless wonder with enthusiastic glee. In fact, more than 1 million Canadian chicken connoisseurs Doubled Down during the five weeks the sandwich was available – and Double Down was named KFC Canada’s best-selling new item ever. To learn more about KFC Canada, visit their website KFC.ca – or join their community on Facebook. KFC is giving away a $25 gift card to one lucky Canadian winner to have the opportunity to go out with friends or family and try their own Double Downs. A random draw will be held by Random.org on June 18,2011 from all Canadian entries recieved. 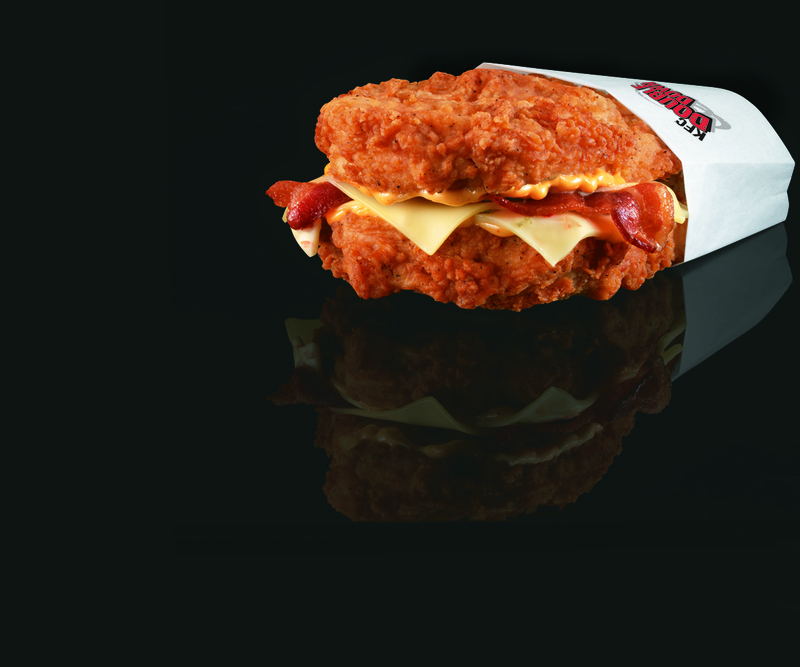 Tell me if you have tried the Double Down yet? no i have not tried the double down yet..
No, I haven't tried the Double Down yet. I have not had the chance to try a Double Down yet. No,I have never tried iot,,I havent heard of it till today. No I haven't tried it yet and know one I know has!! But I plan on it soon. No, I have not tried the DoubleDown yet. I have not tried the Double Down yet. Didn't try the Double Down yet. Would love to try though. No, have not tried the double down. Sounds like a good sandwich. I haven't tried the double down yet! We have not yet tried the Double Down from KFC, but we plan to this coming Friday night! yes, I tried double down! It was sooo yummy! Love it! I have not had the double down but my teen can not stop talking about it. NO, I have not tried the double down yet. I had it once the last time it was a promotion but not yet this time around. No I've not tried it. Seems like too much meat for me, even though I do love their chicken. I love KFC though.